Five weeks after the Doctor made his debut, television history was made again. The TARDIS landed on the strange planet of Skaro, home to a mutant alien race living inside complex battle armour; the Daleks. Their harsh metallic voice, iconic design, and probably the best catchphrase in TV history created an instant cultural phenomenon, and a lasting part of the British cultural identity. In the years Doctor Who was off the air, the rights to the Daleks reverted to the estate of Terry Nation, their creator, who made sure to claim them as his intellectual property at the time of their creation. Under the strictures of the deal to use them in the relaunch, there is a requirement that the Daleks must appear in every series. This places a heightened onus on the writers of the Dalek episodes to do something different with them, for fear that they may become stale, or worse, boring. This can see them reduced to cameo appearances (The Waters of Mars, The Wedding of River Song), or in well-intentioned failures (series three’s risible Daleks in Manhattan/Evolution of the Daleks two-parter). This year’s Dalek duty falls to Phil Ford, based on a concept by Steven Moffat, as the Doctor takes a Fantastic Journey Into the Dalek. The episode opens with resistance soldier Journey Blue and her brother under attack from a Dalek ship. As their craft is about to be obliterated, she suddenly finds herself on the TARDIS, which the Doctor has materialised around her to rescue her. 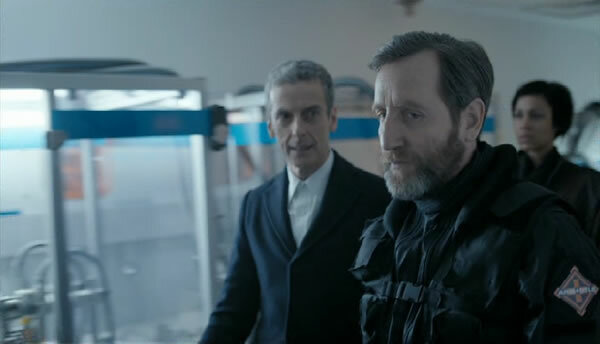 He returns her to her uncle, Colonel Morgan Blue (rather pleasingly played by Michael Smiley, who should be in everything), who takes the Doctor to see a patient – a Dalek who appears to have turned against his own kind. The Colonel’s plan is to shrink the Doctor down and send him inside to heal the Dalek, so that he can use it to destroy the others bearing down on them. 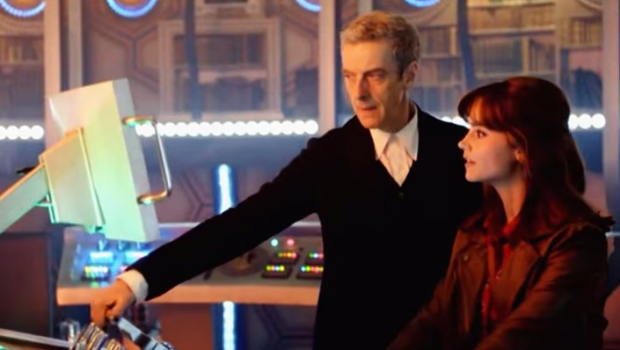 Before he goes in, though, the Doctor nips back to present day London to pick up Clara. At Coal Hill school, Clara makes a connection with new maths teacher Danny Pink (Samuel Anderson), a former soldier who is implied to have killed a civilian during his service. Anderson is going to be a regular this year, though whether he’s going to join the TARDIS crew proper or be a home life for Clara a la the three main companions of the Russell T Davies era remains to be seen. Danny was a likable enough character, and there was good chemistry between him and Clara, so I’m happy to see where this goes. After the characters are shrunk down, they’re inserted into the Dalek via the eye-stalk. The slow-motion weirdness as they cross the barrier is instantly recognisable from Ben Wheatley, whose directorial hand has been a big boon for these opening two episodes. Hopefully he’s setting the tone for everyone else to follow. The internal structures are extremely claustrophobic, and the action sequences as things inevitably go to hell are very well-done. Wheatley’s a brilliant director, and I hope the show can continue to attract his level of talent behind the camera. Overall, I liked Into the Dalek a lot more than last week’s slightly patchy Deep Breath. We got a much better sense of who the Twelfth Doctor is, with his slightly glib attitude towards being in a pool of protein made from dead humans matching up to last week where he showed no concern at wearing the skin of a dead human as a disguise to hide amongst the androids. The sequence where he gives the impression that he’s saving one of the soldiers, only to reveal that he had no intention of saving him and just wanted to be able to track his corpse to a safer location for the rest of them gives a sense of just how cold and alien this Doctor is going to be. There were a lot of parallels with the Ninth Doctor episode Dalek, with the creature identifying with the rage and hatred the Doctor possesses, which disturbs him significantly. Very strong episode, big improvement, and the best Dalek episode in a while – certainly the best of the Moffat era to date. As is always the case, there is an overarching storyline in addition to the individual weekly adventures. 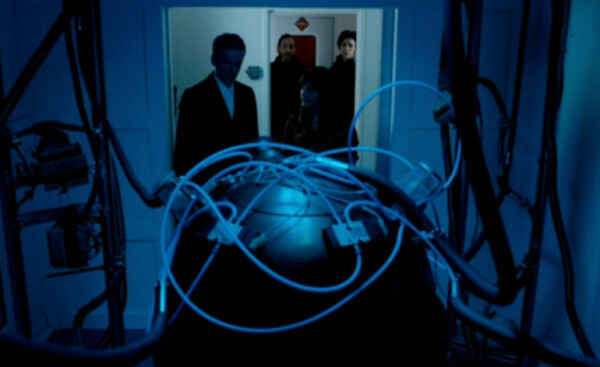 From the slightly rubbish Bad Wolf motif in the Ninth Doctor’s series (having characters randomly say a phrase throughout the series and then reveal the words to be part of the big deus ex machina ending do not a good story arc make) to the more complex arcs of the Eleventh Doctor’s time, there’s usually something going on in an episode which points towards the finale. 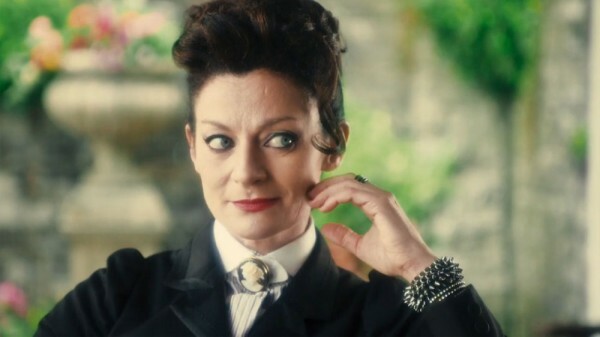 In the last two weeks, we’ve seen two appearances from Missy, a mysterious new female character who claims to have a connection to the Doctor. She has brought characters who have just died (so far Half-Face Man from Deep Breath and Gretchen from Into the Dalek) to a mysterious garden which she claims to be heaven. Who is Missy? Where has she brought these characters? Well, let’s speculate, shall we? The other big suggestion is that Missy is a shortened form of Mistress, and that she’s a new, female Master. This is more interesting, but I don’t see the latter part being true. So what is she Mistress of? She calls the garden paradise, or heaven, but that’s not going to be it. She seems to be collecting people who have sacrificed themselves in the name of the Doctor, which would imply that the Half-Faced Man jumped last week, rather than being pushed. What does she want with them? Well, we’ll see. If she takes someone every week, she’ll have twelve at the end. Twelve apostles? Twelve jurors? Oh, the intrigue. Next week: Mark Gatiss takes the Doctor to Sherwood Forest in Robot of Sherwood.